What a thrill it was yesterday to sit down with the great Nuccia Focile, who sings the only character in La Voix Humaine at Seattle Opera this May. Focile told me a great deal about performing this fascinating Poulenc work, new to the company. 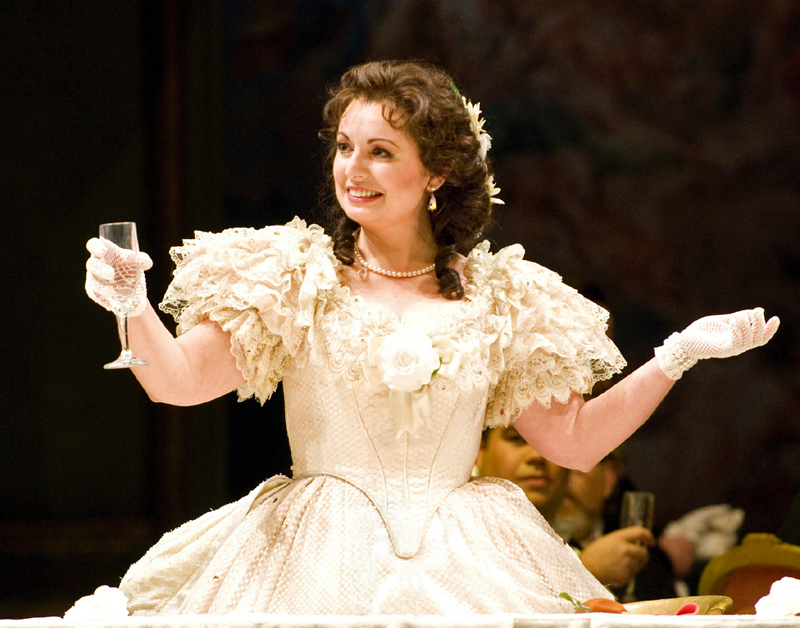 Seattle Opera first fell in love with the soprano when she sang Tatyana in Eugene Onegin in 2002. 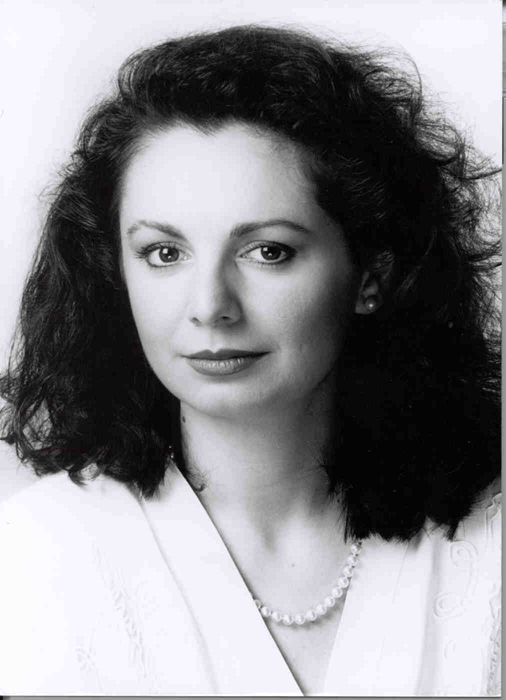 She has since lit up our stage as Mimì in La bohème, Nedda in Pagliacci, Iphigénie in Iphigénie en Tauride, and Violetta in La traviata. 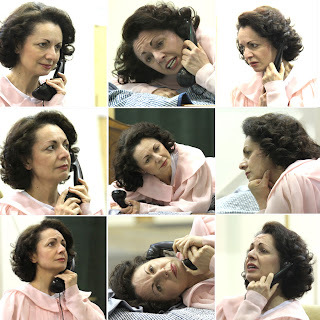 In La Voix Humaine Focile portrays a nameless woman (known as “Elle,” or “She,” for convenience) desperately attempting to stay connected on the telephone with an unseen lover who has moved on. She gradually comes to accept her situation, and the opera concludes with the devastating words, “My sweet darling...I'll be brave, let's finish. Hang up. Hang up quickly. I love you, I love you, I love you...” Appropriately enough, when we spoke yesterday the diva’s iPhone 5 (in its sparkly pink case) lay on the table between us! Technology may have advanced since Poulenc first wrote this opera, in 1959, but human relationships, alas, are no easier. Nuccia, how is our production of La Voix Humaine different from the production you sang in London in 2010, at Covent Garden? 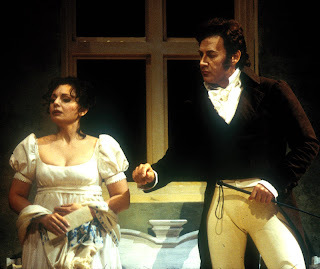 First of all, in London I sang the opera in English, so that the audience would feel immediately connected to the text. The text is so important in this opera. But nobody was happy with the English translation, so we did a lot of hard work adapting it, changing rhythms and notes here and there. We had six weeks rehearsal, and the entire first week we didn’t do any movement, just sat at the table—like rehearsing a play!—analyzing the text, making sure the translation was accurate and that it would work musically. It was laborious, but necessary. Would you say it’s preferable to sing the opera in French and use supertitles, as we’re doing in Seattle? Yes, I relearned it from scratch to sing it now, and I love it even more in French. Now I can’t imagine it being sung in another language. The [French] text and the music fits together so naturally. The music is so French, the taste is so French, you know? Now, you were born in Sicily...when did you first start studying French? I studied a little bit in high school. But I’ve sung a fair amount of French opera—the Iphigénie here, Juliette of Gounod, Manon—and have always studied every role with a French coach. What else in this production is different from London? The size of the theater. In London we did it in the Royal Opera House 2, the Linbury Studio Theatre, which is an intimate space. There isn’t an orchestra pit, so the orchestra was behind the set. There was a see-through panel, so they could see me onstage acting, and I had a few monitors so I could see the conductor, Gary Walker. Yes, conducting this opera is challenging, because you have to be so precise. 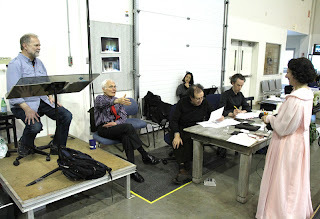 Gary [in London] did a fine job, and our Gary [Thor Wedow, who conducts in Seattle] is perfect, absolutely wonderful. Yes, he’s got the precision but also the heart. We’ve heard that in everything he’s done for us, like the Iphigénie en Tauride he did with you in 2007. There’s this fantastic combination, with Gary, of being precise and faithful to the score, yet he allows all the emotions to happen. Because with this score you have to be so meticulous. Everything, the tiniest little details, are written there. If you are faithful to the score, most of the work is done for you. If you really do what is written, if you analyze every bar. All the intentions—dramatically, musically, emotionally, it’s all there. But it’s up to the interpreter to pay attention and trust what’s in the score. Speaking of “trust,” let me ask you about the many silences in this opera. Bernard [Uzan, the director] has written out what the man on the other end of the phone is saying in each of those silences, and he’s been carrying on the other end of the conversation with you in rehearsal. Did you know that would be part of this rehearsal process? Oh, yes, because we did the same type of work in London. Every time she is silent, he is speaking; or when she answers a question, you need to know exactly what he asked. I write down all the lines in those silent moments, for what he is saying, what the operator is saying, or this annoying lady that keeps coming into the conversation because the phone lines get crossed! It’s important, in rehearsals, to have someone say the lines out loud. It’s the only way, really. ...and then you panic! [laughs] You need to find the courage in yourself to sustain the silence. That’s why you need to know exactly what his words are, so it’s realistic—the pause cannot be just waiting, it has to make sense. Some of the silences are longer, some shorter. Poulenc says when he wants it “très longue,” for example. ...to sustain complete silence onstage. Yes...it all depends on how I react to the silence. There are moments where the orchestra is anticipating her emotions and then she joins in with them; and there are moments when she starts the new idea, the new emotion, and they catch up with her. It’s a real dialogue. Maybe I take a breath, to give my answer, and Gary is waiting for that and then comes in with the orchestra. He has to be act the role along with me for the reactions to be organic. Could a performer who’s never been through a break-up do a good job performing La Voix Humaine? 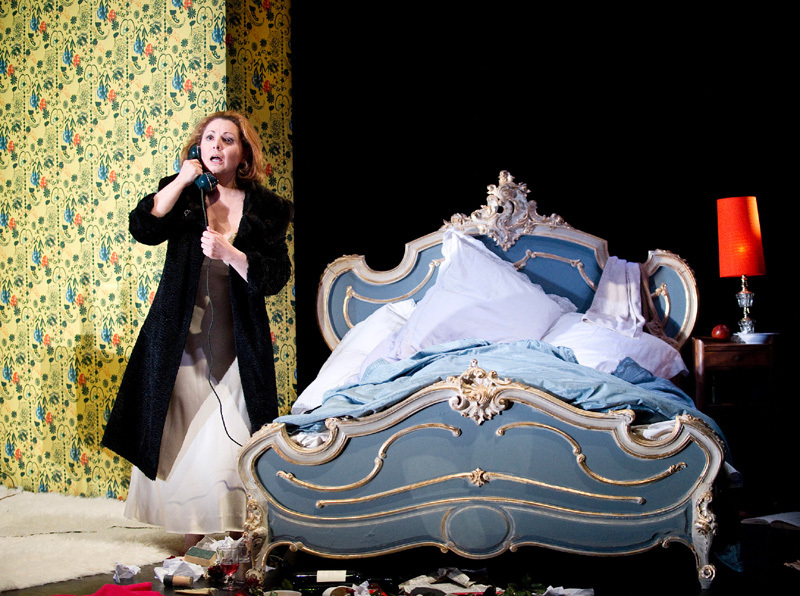 It seems to me this opera is so unbearably real, particularly to our late-twentieth early-twenty-first century lives. Who hasn’t been on this dreadful phone call, at the wrong end of a romance? This woman is so real. She is around the corner, in every city, in every place. Do you think the woman in the opera is really Francis Poulenc, the composer? That he was writing about himself? All three of them—Jean Cocteau, who wrote the play originally, Poulenc, and Denise Duval, the soprano who did it the first time—all of them can see themselves in this role. And yes, this is also a story about two men. “Elle,” the female character, can also be read as a stand-in for a man? Yes, there are lots of moments in the text, we’ve been discussing it in rehearsals, where it comes across as a relationship between two men. She talks about how society wouldn’t understand, how quick people are to judge...it’s subtle, but it’s there. That’s interesting, I think in the ‘30s, when Cocteau originally wrote the piece, you did that all in code. It flew over some people’s heads, while others knew exactly what you were talking about. Of course. But it works, because love is love. In my case, “Elle” is a woman, it’s the end of her relationship, and this is their farewell phone call. Every woman can connect to this, can see a little bit of herself in this story, even if she has not gone through such a dramatic thing. Cocteau hasn’t given us a whole lot of specifics. Have you added more details to the story—who he is, how they met, what he does for a living, etc.? He’s been paying for her apartment, like that? I love how Cocteau and Poulenc have set it up with all this space between what they’re saying to each other and what the situation really is. I love how they lie to each other! That’s where he takes her. Oyyy. How true, though! And earlier in the opera, when she lies to him about having attempted suicide... she doesn’t tell him, at first. And he lies to her about where he’s calling from. Right, he’s obviously at a party—“Oh, tell your neighbors to keep the music down!” she says, though she knows he isn’t at home. It’s wonderful. Just today, in rehearsal, Gary was saying: “This score is like an onion. You peel and peel and peel, and there are so many layers before you get to the actual core.” There’s so much in the score, and so much between the lines. Do you have a favorite musical moment in this opera? I like each time we hear the love theme...when she remembers Versailles, and how happy they were together. You can see, in my score [shows her score] each time that theme plays I wrote a little heart! I’m that pathetic! And this wonderfully sentimental waltz, which we hear when she begins to tell the truth about how she took all the sleeping pills. That’s one of the real lyric effusions in the score. What’s the best way for an audience member who is new to this opera to prepare? Well, the music is very direct. But you have to understand the text first. So I think it’s worth it to read the libretto, so you can understand what she’s talking about. It’s an opera that will repay the audience’s close attention. I’m so glad I have the chance to hear it multiple times!